Valentine’s Day is only 3 days away. And today I have a card to share with you, Key To My Heart shaker card. When I saw the center panel step card, I was wondering if I could make a step card with shaker window as the center panel with a polaroid frame and the filler is not only sequins but also with die cut confetti. So, I went through my Silhouette library and AH-HA! I have them already, the step card, polaroid frame with love saying on it and love theme confetti. After that I went digging through my scrap stash to find the papers, cardstocks and everything to fill the shaker window. This shaker card is super easy to make using my Silhouette Cameo and Silhouette Studio Designer Edition Software. 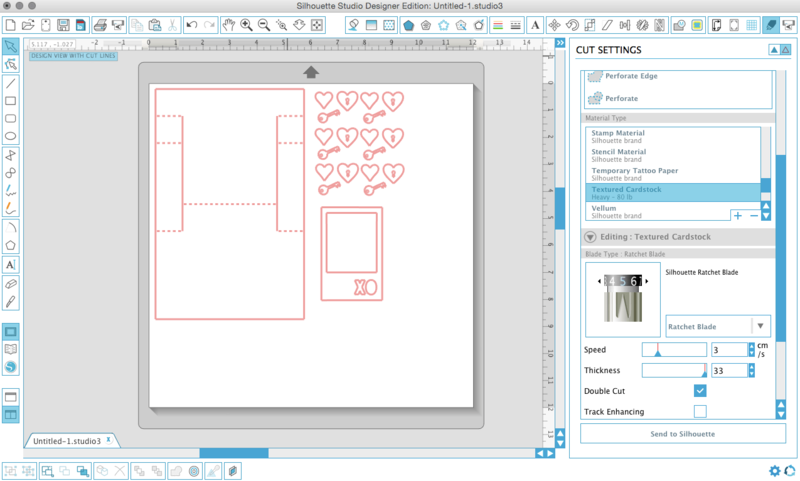 First, I open Lori Whitlock’s Center Panel Step Card on Silhouette Studio Designer Edition software. 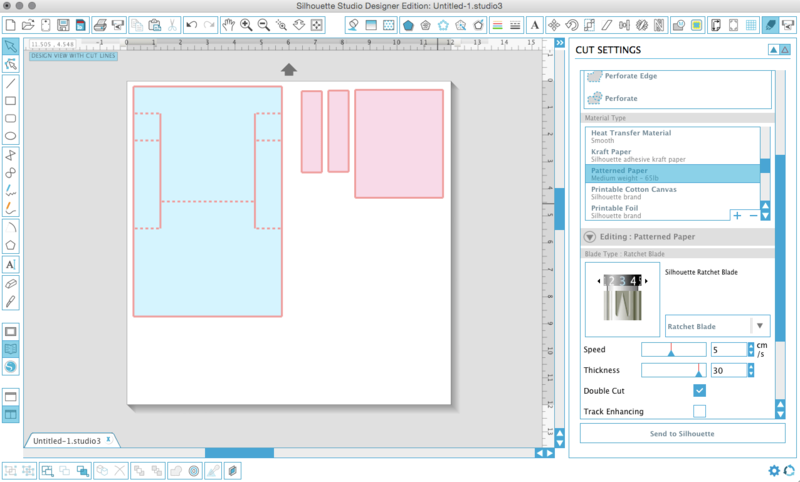 I ungroup the cutting files. I did not use the artisan shape from the file. Replace it with the polaroid frame. Then I arrange the shapes and color them with the colors of the papers I want to cut. It is easy to remember which patter paper for which shape with colors. The pattern paper I used on this card is Heartstrings Paper Packet. I only used 1 paper because it is double-sided paper with cute pattern perfect for Valentine’s Day theme card. After I arranged the papers on the cutting mat, then I sent it to cut. Then I put cut the card base, frame, keys and hearts. I used one of the polaroid frames from The Cut Shoppe, resized it to fit on the front panel card. And for the shaker fillers, I used only the keys and hearts are from Sophie Gallo’s Love Confetti. I also resized the small enough to fit in side the shaker. For these shapes, I used White Daisy cardstock. To create the shaker on the front panel, I used acetate plastic I saved from left over packing 🙂 This is one way of reuse or recycle boxes. I cut the plastic a little bit bigger than the inside rectangle of the polaroid frame, then I glued it on the frame using Tombow liquid glue. It dries clear and strong. And then adding some 3D foam around the rectangle to create the shaker. What do you think? I hope you’ll like this 🙂 Can’t wait to give this card to someone we love! What a sweet shaker – I love the heart with the keyhole you put into it! Hope you had a wonderful Valentine’s Day weekend Helen! Absolutely FABULOUS, Helen! Your choice of sequins is awesome! Thanks so much for playing Virginia’s View “Shaker Cards” Challenge! Hope to see your lovely work soon again! Such a sweet card Helen! Love how you used the frame from The Cut Shoppe! Thanks for linking up with us for this month’s Cut It Out Challenge!